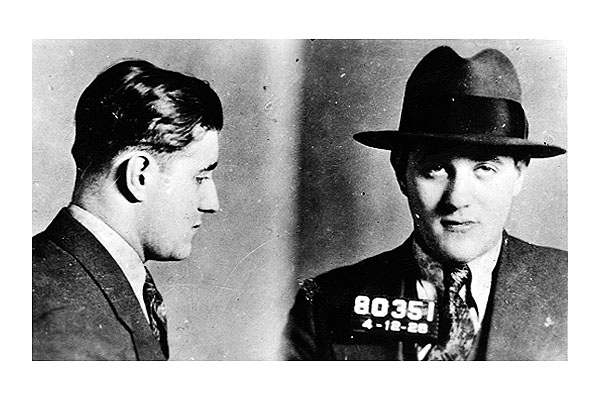 Along with Lucky Luciano and Meyer Lansky, Benjamin 'Bugsy' Siegel was an original organized crime pillar. Pictured in this 1928 New York Police Department photo, Siegel, who was also central to the development of Las Vegas's gambling industry, was shot to death in June 1947. Submitted by nIT2winIT on Wed, 2011-04-27 01:17. Submitted by roydawgg on Mon, 2010-11-15 02:52. Submitted by GeorgeDubyaBush on Wed, 2010-09-29 21:52. Submitted by bighands3 on Sun, 2010-08-15 13:02.